Make your wedding memorable with Testa’s Banquet Facility. From our grand staircase to our beautiful bridal suite, at Testa’s we offer everything you need for the perfect wedding reception. Our classically designed rooms have just enough of a modern touch to give our space a unique and lasting look. Add all of your personal touches and Testa’s transforms into your dream wedding reception. We offer the option to hold your ceremony within your reception space for no additional charge. We also offer the option to rent our Crown Room as a separate ceremony space. If there is one thing your guests will have at a Testa’s wedding, it’s a fine meal. Our menus feature a vast collection of delectable appetizers, salads, desserts, and entrees. With bar service included, your guests will have their fill of drinks and food before they hit the dance floor to party all night long! Don’t worry though, our years of experience in the wedding industry have given us the ability to perfectly schedule your reception for optimal activity! Your guests will have plenty of time to chat and digest before our house DJ (available with most packages) gets everyone on the dance floor. Worried about the scheduling of events during your reception? Don’t! We work with your DJ to plan your entire night before it even happens. Once the party starts you don’t have to worry about any of the details. We want you to enjoy your first night as Mr. and Mrs. without worrying about what time the parent dances will occur, or when you should be tossing the bouquet! We pride ourselves on our exceptional service throughout your reception. Don’t take our word for it we invite all of our potential bride and grooms to visit us during one of our scheduled weddings or events to see exactly how we run our events. See the Testa’s house DJ in action, or just enjoy the Testa’s experience, it’s your opportunity to get to know us! Custom times and split room rentals, are also available, please inquire. A minimum $750 deposit is required to book your date. A final head count, table arrangements, and final payment, is due 10 days before event. We offer a DJ, Cake and Flower arrangements in some of our packages, with certain restrictions. 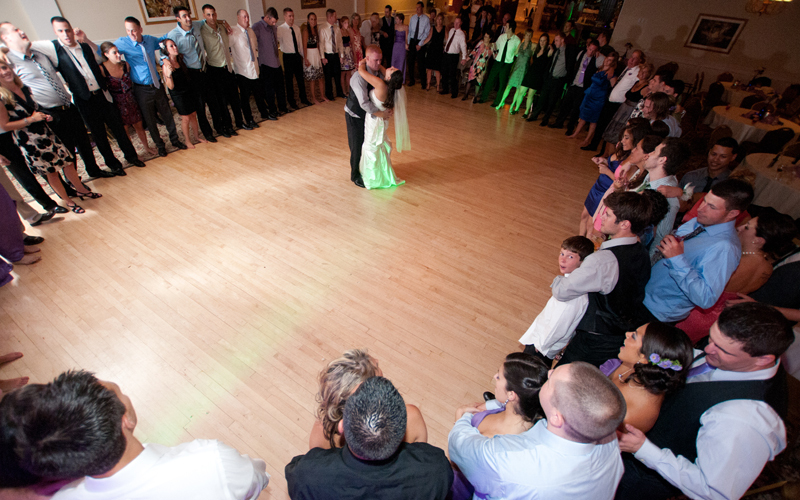 If you require a dance floor, we can accommodate a minimum of 30 guests, to a maximum of 300. If no dance floor space is needed, we can accommodate a minimum of 30 guests and a maximum of 400. Download (PDF file) the seating chart and the seating instructions for Testa's Banquet Facility to help plan and organize your event. Please seat 8 to 10 people per table. No fee for a bartender or cutting and serving your wedding cake. We offer space to have your wedding ceremony, free of charge. Floor plan and meal count must be called or faxed in at least one-week prior to function! If you have any questions, please call 860-628-8509. Please indicate the number of people and meals per table. Example - table #12: 10 people - 4 shrimp, 4 prime rib, 3 chicken. Parents of the bride and groom may be seated at tables #1 and #2 or at tables #13 and #14. Always dreamed of the perfect winter wedding? Testa’s offers all of its off-season wedding clients 10% off the regular wedding package price! Hold your wedding in January or February and you’ll experience the magic of having your wedding at Testa’s at a special price. Certain restrictions apply, and the offer is not to be combined with any other offer. Contact us today to discuss your off season wedding at Testa’s Banquet Facility. Prepare for your big day in the Testa’s bridal suite! Whether you’re having your ceremony at Testa’s or going to a different location, our bridal suite is available for you and your bridesmaids to get ready for the wedding day. The Testa’s bridal suite can comfortably fit up to eight bridesmaids. The bridal suite is also available during cocktail hour as a private spot for you and your bridal party to relax before the reception starts. Without the need for prep space the room can fit up to twenty people. Weddings at Testa’s are unique to every client and their guests. Contact us today to start planning your Testa’s wedding. We welcome you to tour our facility and even attend one of our upcoming events to see exactly how we make every event a success!